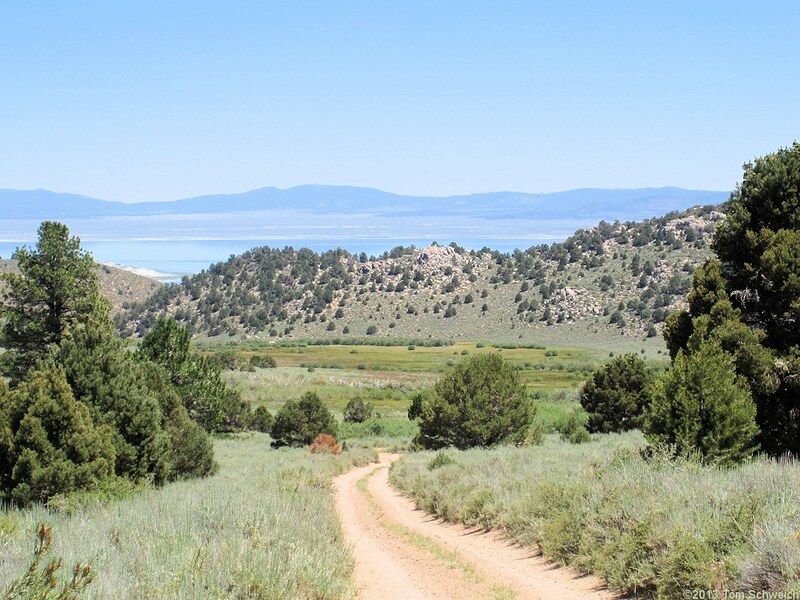 Photo: Lower Horse Meadow with Mono Lake beyond. Eastern Mojave Vegetation Lower Horse Meadow with Mono Lake beyond. Inyo National Forest Road 01N16, "Horse Meadows / Gibbs Trailhead," Mono County, California: near L. Horse Mdw. Field Notes: Monday, August 1, 2010. A Checklist Flora of the Mono Lake Basin, Mono County, California and Mineral County, Nevada. : Horse Meadows. Other photos about Geography - Mono Lake Basin, California or Lower Horse Meadow.